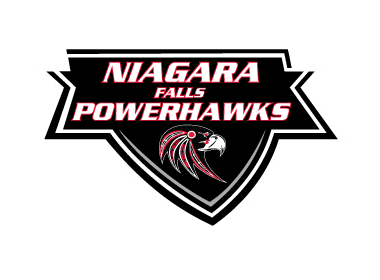 The Niagara Falls PowerHawks dropped another decision to the Cape Cod Islanders in Sunday afternoon NA3HL hockey action. The Islanders skated away with 9-2 victory. The Powerhawks are still in the midst of a long road trip, traveling to New Jersey to take on the Skylands Kings on Saturday and Sunday. Cole Therrien got the Islanders on the board 2:55 into the first period with assists coming from Caleb Williams and Leevi Kervinen. Kervinen then scored unassisted at 14:55 to make it 2-0 Cape Cod. Jake Pembleton scored a powerplay goal for the PowerHawks with 1:43 left in the opening frame. Cam Orzechowski provided the lone assist. In the second period, it was all Cape Cod as they added four more goals to the scoreboard. Logan Rachow lit the lamp 2:19 into the period. Therrien and Kervinen assisted. Kervinen nabbed his second of the afternoon at 12:04 with Williams on the assist. Chad Holmes struck to make it 5-1 at 8:51 of the second period. Jimmy Dravage and Nick Ferrucci were credited with the assists. Williams capped the scoring in the second period at 6:31, with assists coming from Kervinen and Therrien. Kervinen netted a hat trick 1:16 into the third period on an unassisted shorthanded tally. Therrien added to Cape Cod’s total with his second of the night at 10:05. Kervinen and Ferrucci picked up the assists on the play. Michael Goroshko capped the scoring for the Islanders 57 seconds later. Tanner Little had the lone assist. Niagara Falls was able to score once more before time ran out, this time on a penalty shot by Devin Johnson that made it past Tyler Baumann. Parker Orchard picked up the win for the Islanders, stopping 19 of 20 shots before being replaced by Tyler Baumann with 7:13 left in the game. Baumann faced only 3 shots, allowing the penalty shot by Johnson to get by him. Noah Spiesz was 38 of 47 in net for the PowerHawks. The next home game for the PowerHawks will be October 19th against the Skylands Kings. Niagara Falls will then face off against the Binghamton Junior Senators on the 20th and 21st to cap a three-game weekend.